Edward was assigned to Charlie Troop on February 4, 1969 and was Killed in Action on July 21, 1969. Edward was a Door Gunner on an OH-6A Light Observation Helicopter. 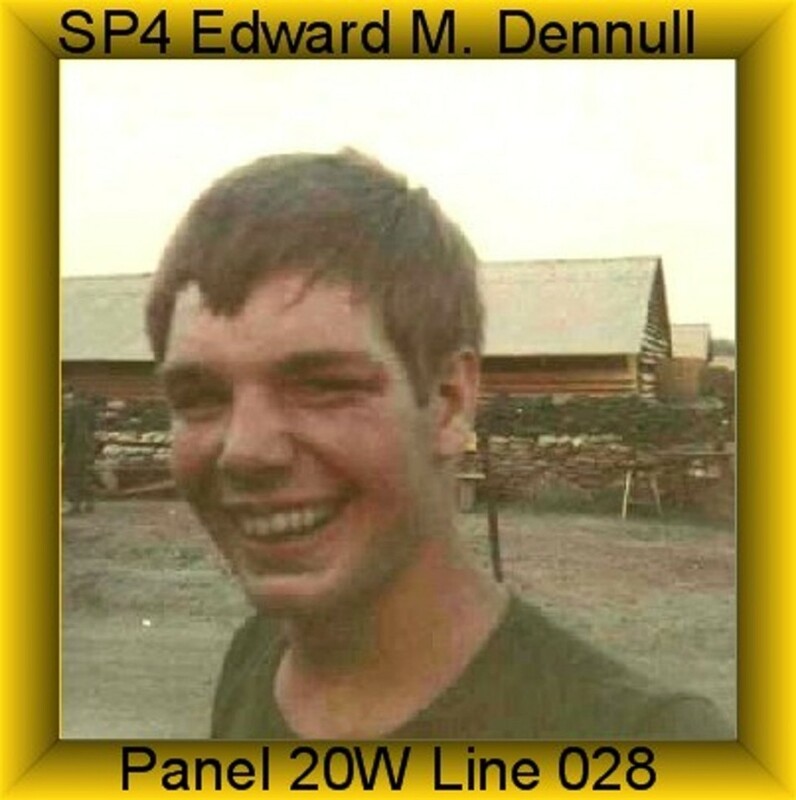 Edward was awarded the Purple Heart, Air Medal, National Defense Service Medal, Vietnam Campaign Medal, Vietnam Service Medal and Crew Members Wings. Pat. I knew Ed Dennull. I lived in the small town of Verona Ohio at that time frame. 63-67 He and Gary played on the same baseball team. They went to Jr Hi and HS with each other until we moved to Miamisburg in July of 67. Ed grew up in the little bit bigger town-city now of Lewisburg, Oh. Verona and L-Burg was about 10 miles apart. We used to see the family Dr there and go shopping at the IGA store there or go into Brookville, OH. Which brings me to the small world part. Ed went into the First Of the Ninth then was KIA, Gary went into the First Of the Ninth later and was KIA. Two who knew each other both passing after serving in the same unit. Ed’s Dad passed away not long ago. I sent that info to Julie. A Veteran marker in Lewisburg has Ed and the other KIA from Nam, on it. Ed is the last person from Lewisburg to have been killed in a war. Gary is the last person from Miamisburg that was KIA in a War. I can only hope they are the last ones from their towns. Thought I would pass that along to you..